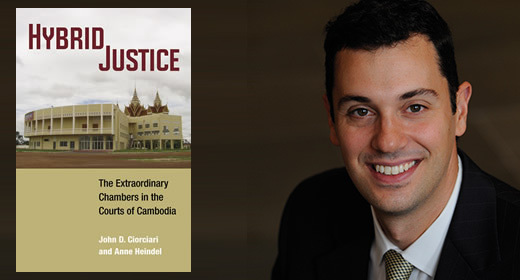 "Hybrid Justice: The Extraordinary Chambers in the Courts of Cambodia," a forthcoming book by John Ciorciari and Anne Heindel, a legal advisor at the Documentation Center of Cambodia, contends that the unique legal and institutional features of the UN-backed tribunal and political in-fighting impaired the court's ability to deliver credible justice. They explain that issues including political interference, the need for a supermajority judge opinion prior to investigations, and the application of local law hampered or delayed the proceedings. "The UN has undeniably a weak structural position in this court, but it's still chosen to interpret its mandate narrowly, conservatively, deferring in most cases to Cambodian sovereignty and prerogative. So the lesson here is that if the UN gets involved, it needs to exert ownership and stronger control." Ciorciari's book will be published by the University of Michigan Press, and will be available by late February.